As a former legislator and gubernatorial candidate, it’s fair to say that Wyatt Durrette has a good inside knowledge of Virginia politics and their effect on how voting districts are drawn. As chairman of the bipartisan Citizens Constitutional Amendment Drafting Committee, he challenged “the abuse of redistricting power by both parties” in a Richmond Times Dispatch op-ed essay. Thanks to 21st Century technology, Durrette writes, gerrymandering “has been put on steroids.” Computerized map making tools, partisan filters and data from previous elections let “politicians in charge of redistricting…manipulate boundaries in ways that eliminate competition and effectively deprive voters of any meaningful power at the polls,” he warns. 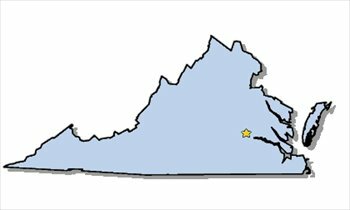 A shifting balance of power in the House of Delegates, an uncertain 2019 election in which all seats in the General Assembly will be on the ballot, and Virginia’s two-year constitutional amendment process all combine to make this year the time to act, Durrette writes. His committee is working to report its amendment recommendation in November, for presentation to the January, 2019, General Assembly session.